Weltner, Charles Longstreet. 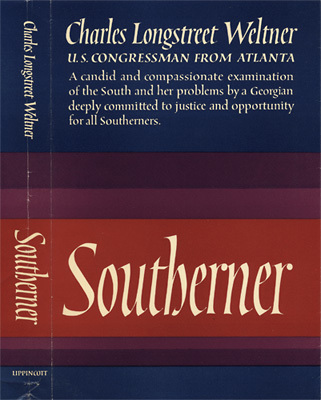 The Southerner. Philadelphia: Lippincott, 1966. 188 p., 22 cm. Dust jacket design.